This one’s a gem! Come see this gorgeous, updated home. 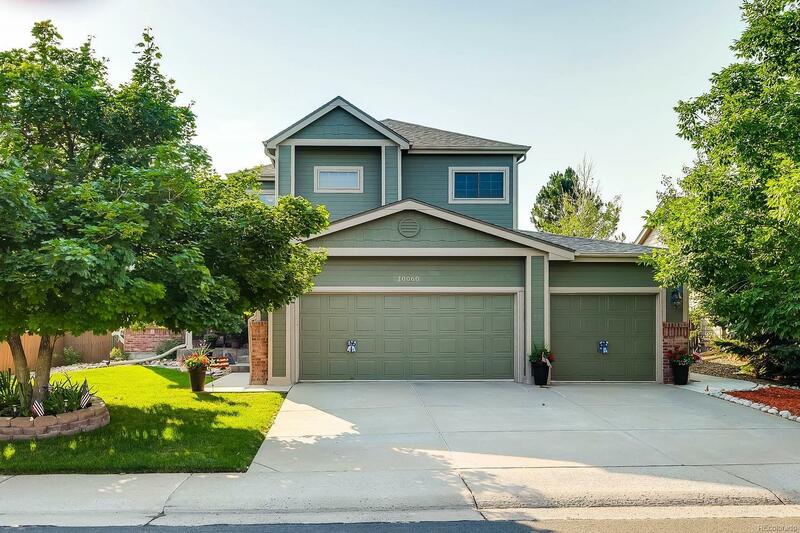 The highly desirable floor plan features 5 bedrooms and 4 bathrooms PLUS a finished basement for expanded living space! Gleaming, newer hardwood flooring and inlaid tile grace the main living spaces. The gourmet kitchen showcases beautiful granite counters with a breakfast bar space, upgraded stainless steel appliances, and espresso stained cabinetry. Check out the luxurious master suite, with custom tile work in the spacious 5-piece bathroom! Entertaining is a breeze in the basement flex space, with a wet bar and wine cooler as well as a bedroom and bathroom for guest quarters. Or, move the party outside to the large back patio overlooking the mature landscaping in the yard. A generously sized three-car garage is the perfect place to put all your tools and toys! Meticulously and lovingly maintained, this home has it all. Don’t miss the chance to make it your own!